Harris Dousemetzis was on CNBC Africa to discuss his book The Man Who Killed Apartheid: The Life of Dimitri Tsafendas. 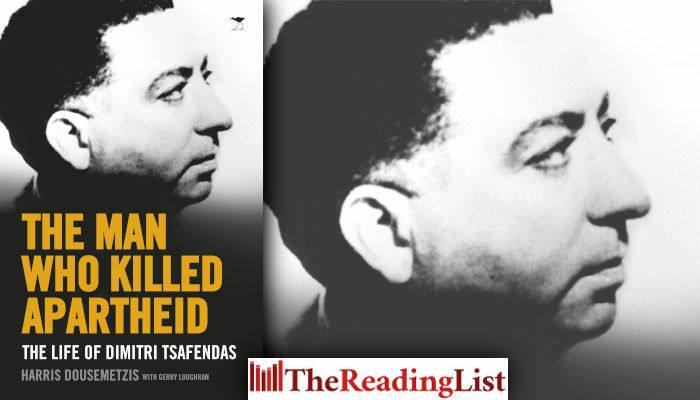 The book reveals the extent of the cover-up by South African authorities and the desperate lengths they went to conceal the existence of Tsafendas’s opposition to apartheid. ‘I felt that a major injustice has taken place in portraying Tsafendas as an insane mane who killed Verwoerd because of a tapeworm,’ Dousemetzis says. ‘I felt that the historical record should change and reveal the truth about Tsafendas, who was a perfectly sane man.